Blog - The House of Tara’s Men Designer Bags,,.carrying that extra edge for your daily fashion!!! Although there is a huge variety of Men bags & accessories available; the key to selecting the right bag is that - it must be a continuation of your inherent style as opposed to something that fades it. 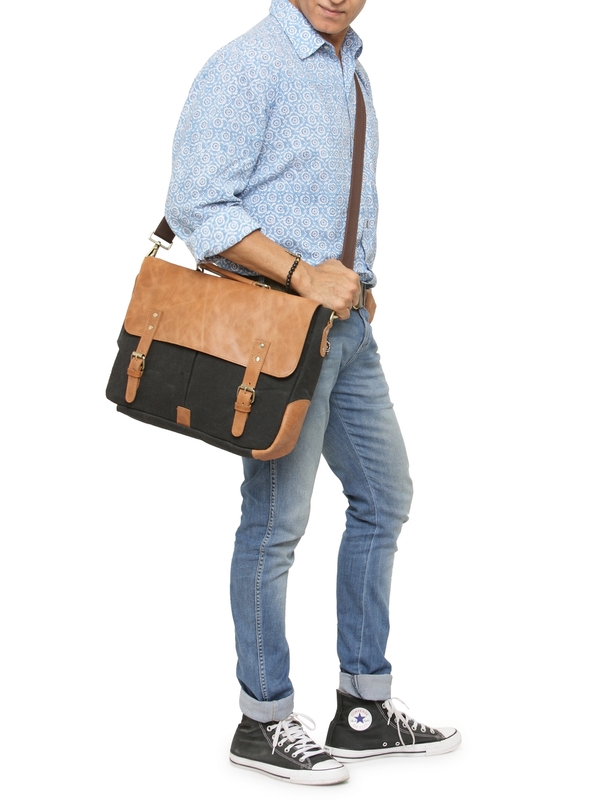 So, if you are more of a smart casual street dresser, you can experiment with grunge messenger bags in multiple mono color canvas shades along with denims with bold retro prints in contrast to a more professional/executive look comprising of a classic leather laptop or a briefcase bag. We, at The House of Tara have a huge array of bags designed for today’s uber male population. The collection ranges widely in price, material, and design that would leave anyone spoiled for choices. From laptop bags to messenger bags to cool backpacks and rucksacks; our products are designed either in specially treated heavy cotton canvas (durable, weather resistant) with leather detailing and use of metallic hardware or we work with genuine leather and use of antique finish metallic hardware. As we agree that bags are wardrobe essential not only for its utility but also as a fashion statement; we use rugged canvas in neutral shades with bold retro prints that compliments most outfits. We design our bags keeping the durability & usability in mind not compromising on its fashion element. Each category of bag has its unique shape to go with its utility and fashion sense. While a backpack offers you a hands-free experience to accommodate great amount of luggage, a messenger bag slung over a shoulder gives an easy & quick access to bag’s contents. A laptop or a briefcase bag allows you to protect your official documents along a laptop. A duffel bag on the other hand can be used as an airline cabin baggage along with carrying it on road trips or while going for your gym workout. Backpack bags; also includes multiple versions like knapsacks and rucks. In general backpack bags are more popular as the clear advantage of a backpack are the back-shoulder straps making it easier to carry large volumes over long distances with ease of movement.